To celebrate the holiday season kicking into gear this year, I'm hosting a Colourpop Cosmetics giveaway of my favorite lip and eye shades I like to wear during the holidays. 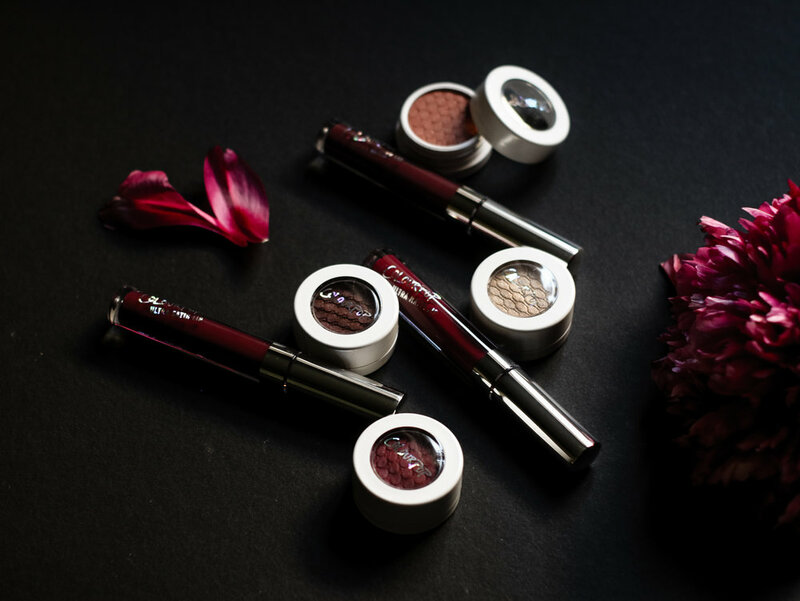 In this giveaway, there's a mix of deep reds and plums from the Can You Not Lip Bundle to the shimmer copper, bronze and gold tones of the Zingara fouresome-shadow bundle. This giveaway bundle will allow you to be able to create a variety of looks fitting for an autumn vibe or for the next holiday gathering! The giveaway will be conducted on my instagram account. Here are the terms and conditions for the giveaway - contest will be open until Black Friday 11/24/17 5pm PST. All entries must be completed to be valid, and will be checked for completion - which will be void if not complete. In entries requiring tagging of other IG accounts, the accounts must be real people. USA/CANADA/U.K. only with valid residential mailing address. Void where prohibited by law. This giveaway/contest is not sponsored or associated with Instagram or Colourpop Cosmetics in any way. By entering you are confirming that you are 18+ years of age. Once shipped the giveaway host (Amanda of Feast.Fashion.Faves) is in no way liable for damaged or lost items. If any issues arise during the shipment/transit period it is the winner's responsibility to reach out to the postal service to rectify the issue, this may include but is not limited to: damaged mail, lost mail, delayed mail, stolen mail, mail delivered to the wrong address due to winner's error). Once contacted, the winner has 48 hours to reply with a valid residential mailing address with appropriate mailing format respective to each country and including the necessary information to mail the package (in U.S., Canada or U.K. - and no P.O. Boxes) or they will forfeit their prize. Prize includes 1 Can You Not Lip Bundle (1 Hutch: Ultra Satin Lip; deep blackened violet | Notion: Ultra Matte Lip; deepened raspberry | Sookie: Ultra Glossy Lip; full-coverage rich plum) and 1 Zingara foursome, individual shadow pot bundle (1 Paradox: warm satin burgundy red | Elixir: matte terracotta | Seeker: matte warm reddish brown | Jinxie: soft pearlized gold). To see the swatch or product photos, click on the product links provided in the text above. Please note photos of the product provided in this blog post and on the Colourpop Cosmetics website may differ from the actual color of the product due to the difference in monitors and mobile screens. Fake or giveaway-only accounts are disqualified from entering. Profiles must be public to be eligible to win. Use of the cosmetic items included in the giveaway bundle is solely up to the discretion of the winner. The winner releases Amanda of Feast.Fashion.Faves of any liability or claims that would result from using the giveaway cosmetic items or from participating in the giveaway. Giveaway will run from Friday 11/17/17 at 12pm PST and close on Friday, 11/24/17 at 5pm PST.